500GB Internal SSD Storage plus 500GB failover SSD, 2TB additional storage in removable hot-swap bay, 4 Hot-swap SSD Drive bays for potentially unlimited plug and play storage. 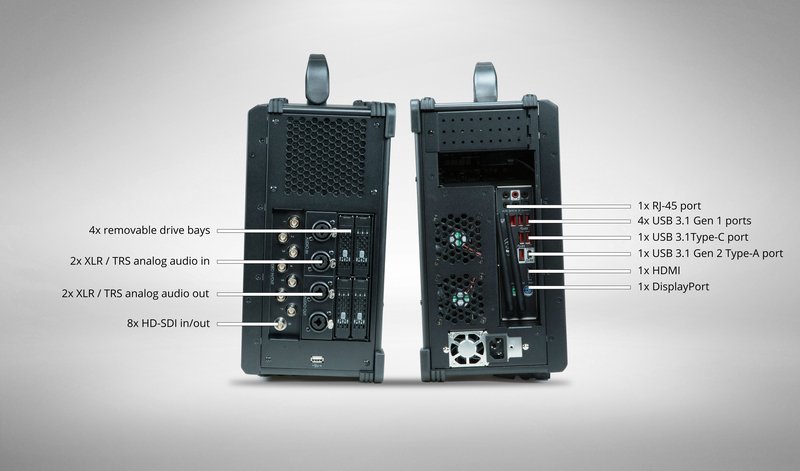 Up to 1000 multi-source inputs including video/audio files up to 4K resolution, PowerPoint (Microsoft Office Req. ), graphics, streams, desktop apps, titles, live social media. Cut, Fade, Zoom, Wipe, Slide, Fly, CrossZoom, FlyRotate, Cube, CubeZoom,VerticalWipe, VirtualSlide, Merge and two custom Stinger channels. 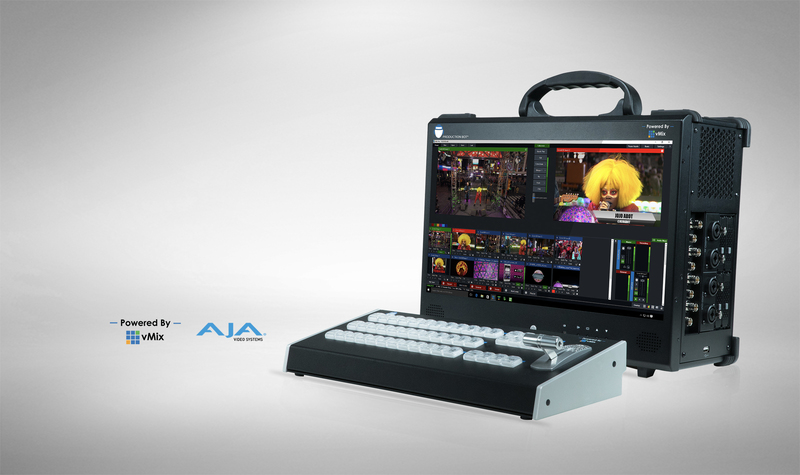 Each input includes 5 “Multi View” overlay channels to create complex Mix/Effects. Add logo bugs, lower thirds, titles, text in combinations to create compelling productions." 4 DSKs / overlays with individual transitions, alpha channel and custom scaling/positioning. Color Correct, Deinterlace, Sharpen, Zoom, Rotate, Pan and Crop any input in real time. All effects are processed in 4:4:4 32bit color space for optimal video quality. Independent control and monitoring of all audio sources with Mute, Solo, Follow (Auto Mixing), Delay, EQ, Compressor and Gain. 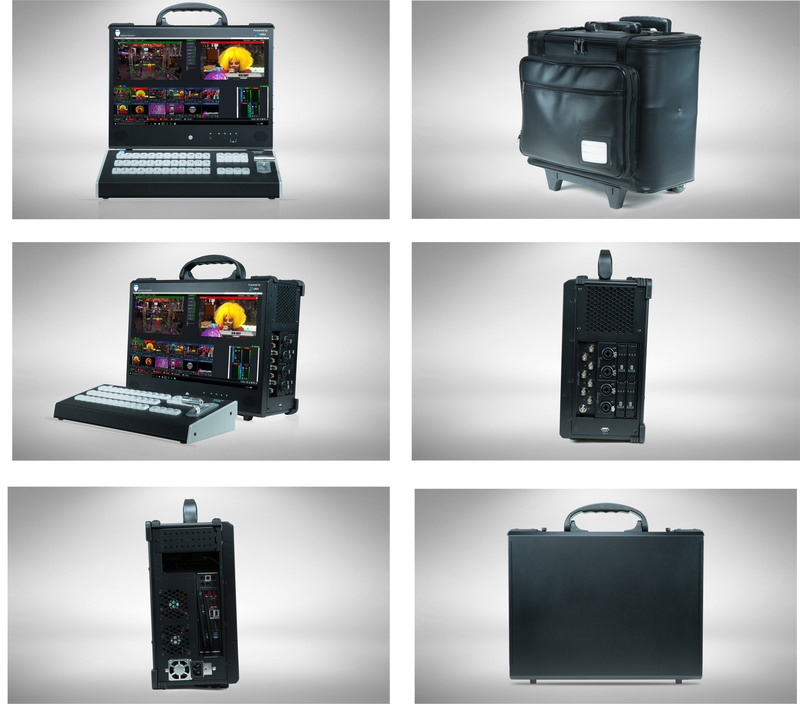 Multi camera instant replay system built in with continuous recording and playback. AVI, MP4, MPEG-2, MOV and MXF for both Program and ISO recordings with a variety of compression formats available. 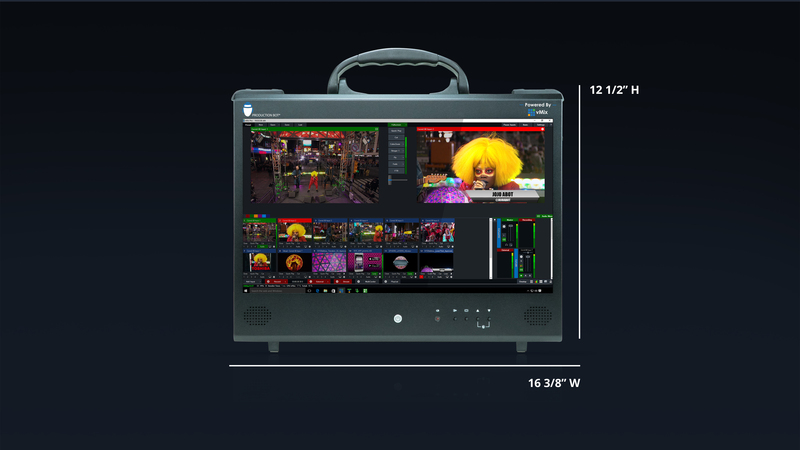 Live multiviewer output to secondary display or HD-SDI with configurable layouts and titles, audio meters and tally display. 1080P, 1080i, 720p and SD Multi Format capable. 23.98, 24, 25, 29.97, 30, 50, 59.94, 60 frame rates supported. Rolling bag with telescoping handle, Shuttle replay controller, USB keyboard, USB mouse, USB Wi-Fi adapter.